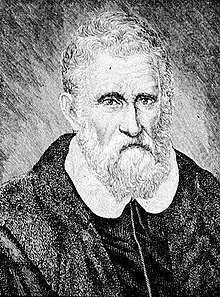 Marco Polo ( /ˈmɑrkoʊ ˈpoʊloʊ/; Àdàkọ:IPA-it; c. 1254 – January 9, 1324) was a Venetian merchant traveler from the Venetian Republic whose travels are recorded in Il Milione, a book which did much to introduce Europeans to Central Asia and China. He learned about trading whilst his father and uncle, Niccolò and Maffeo, travelled through Asia and apparently met Kublai Khan. ↑ William Tait, Christian Isobel Johnstone (1843). Tait's Edinburgh magazine, Volume 10. Edinburgh. ↑ Hinds, Kathryn (2002). Venice and Its Merchant Empire. New York. Àtunṣe ojúewé yi gbẹ̀yìn wáyé ni ọjọ́ 21 Oṣù Kẹta 2013, ni ago 09:36.